Looks like the new time-bending shooter has a moral code: an eye for an eye. As spotted by Rock, Paper, Shotgun, Remedy Entertainment has hidden a joke within Quantum Break meant exclusively for pirates. 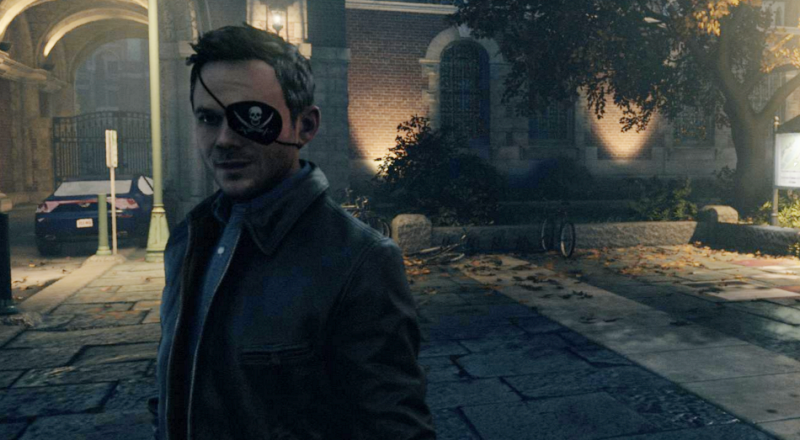 If Quantum Break detects that players have stolen their copy of the game, it will outfit the main character, Jack Joyce, with the eyepatch you see above. Pretty funny! The new eyepatch is next-gen, of course. DRM might’ve accidentally triggered. Make sure you’ve logged into your Microsoft account before starting the game (thanks NeoGAF!). What this means, in effect, is that players can don the eyepatch without having to pirate the game. You know, if you’re curious about it.